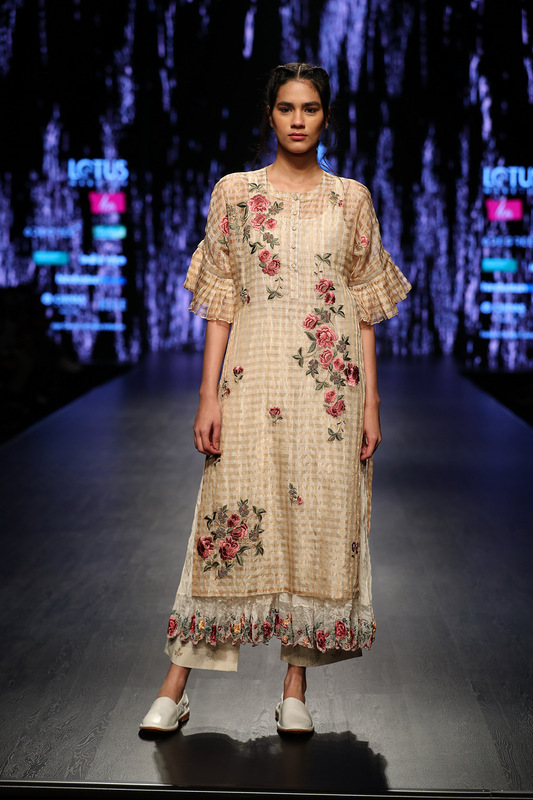 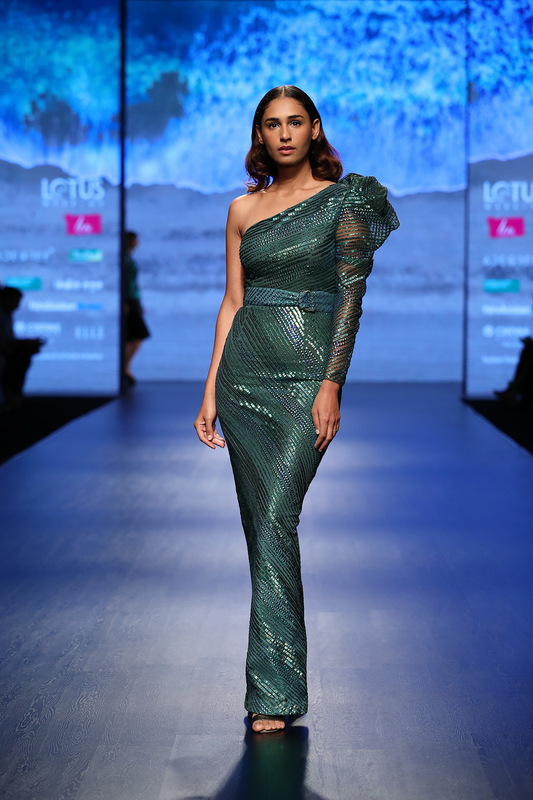 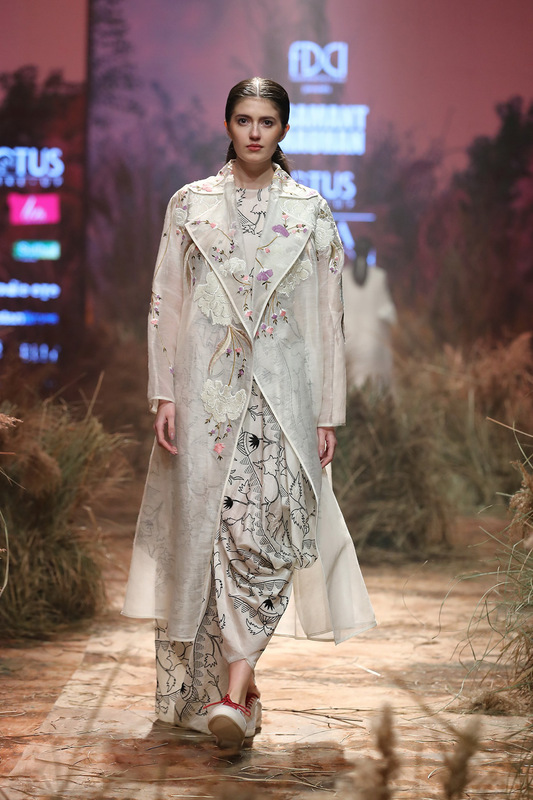 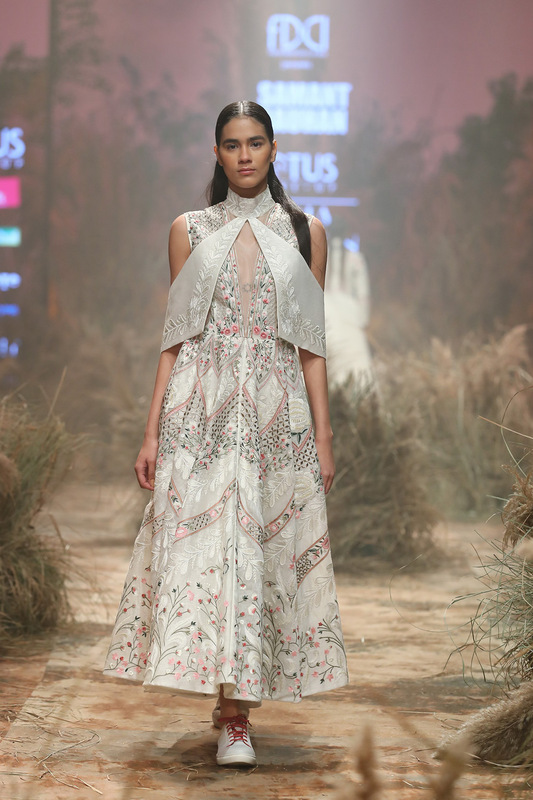 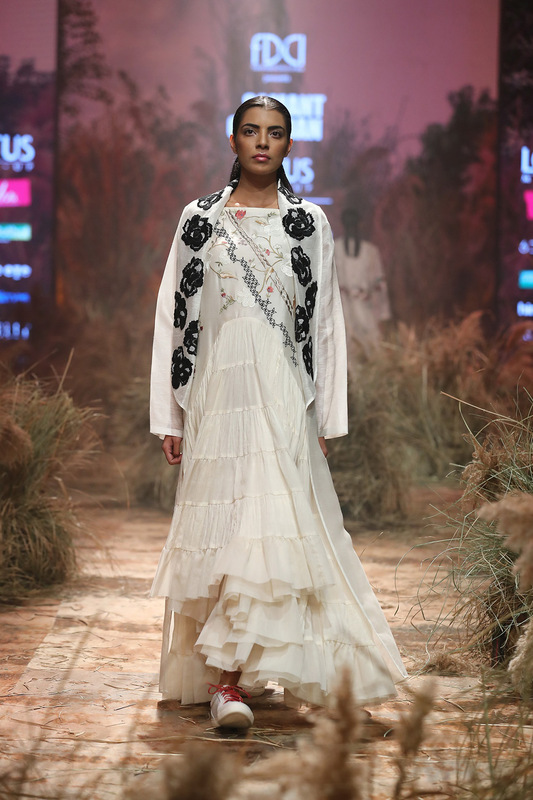 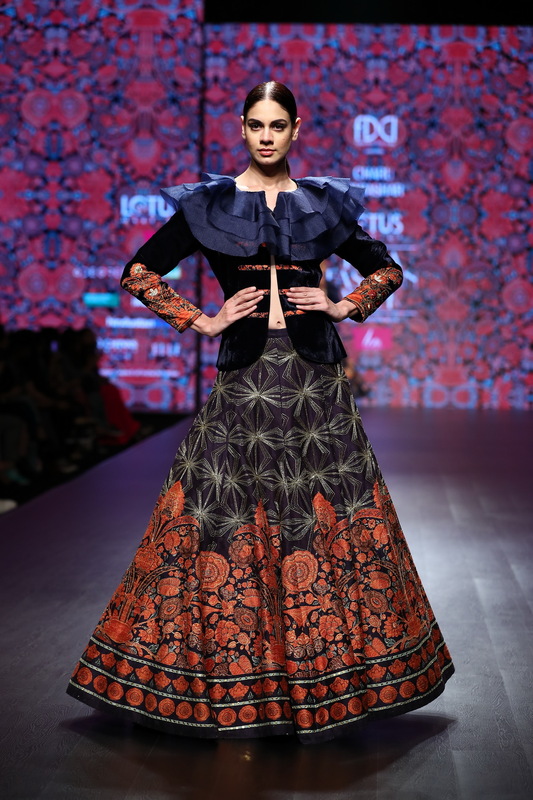 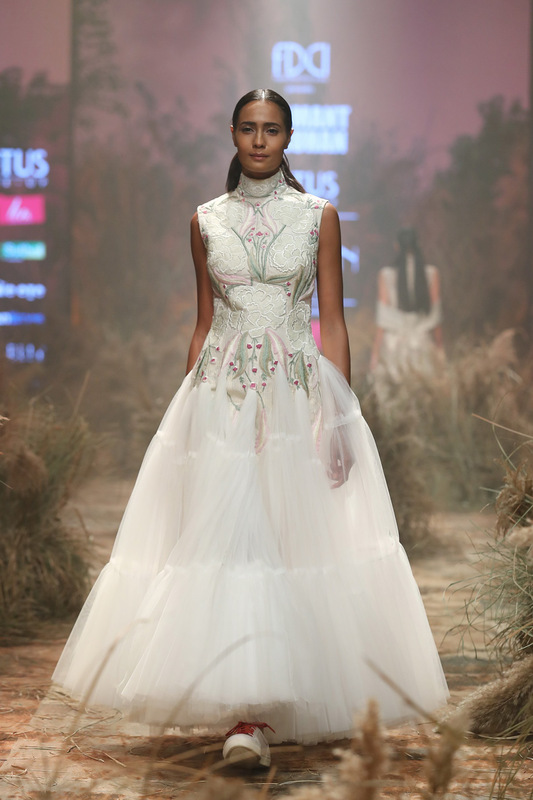 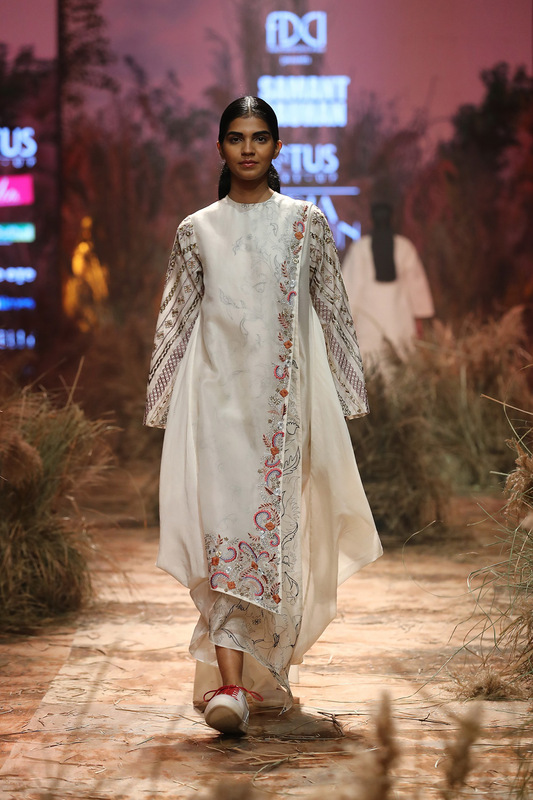 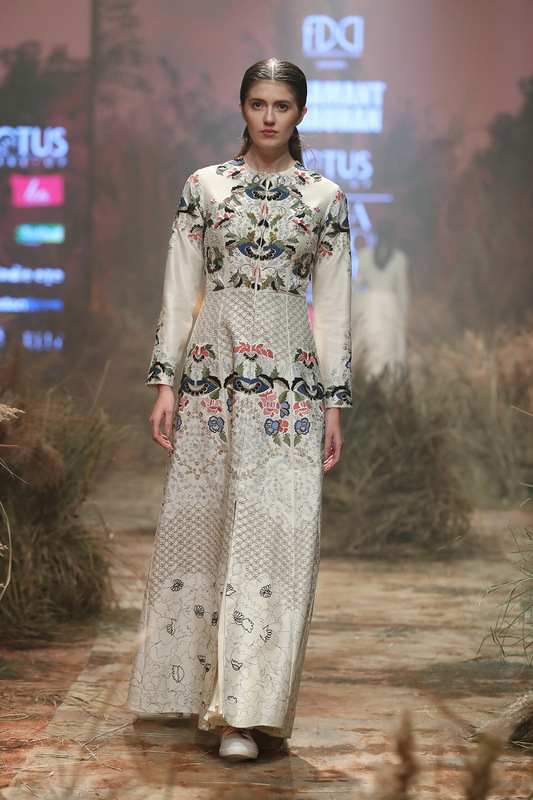 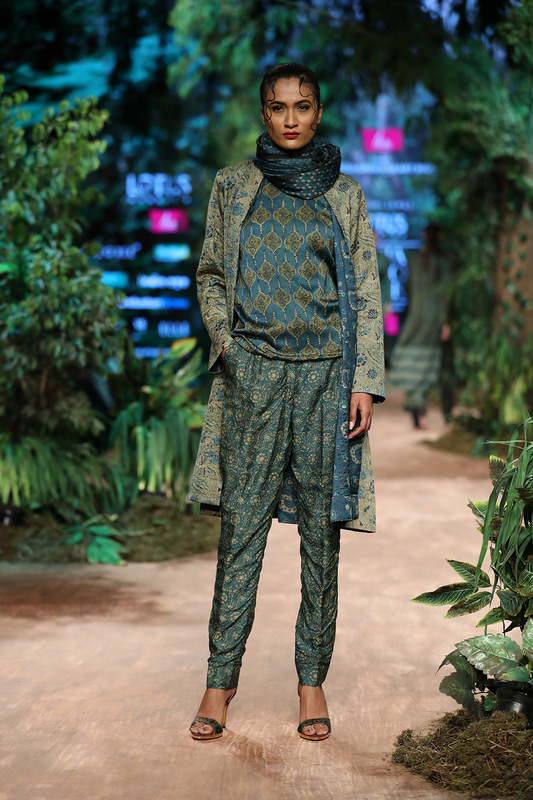 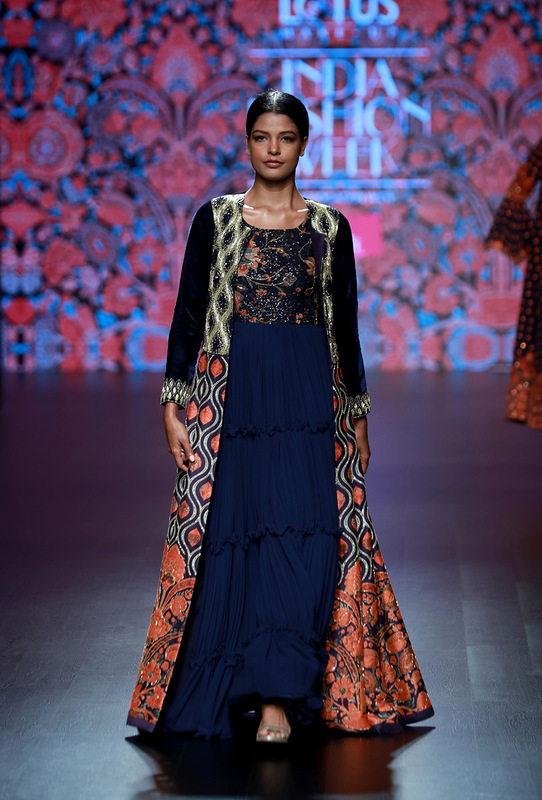 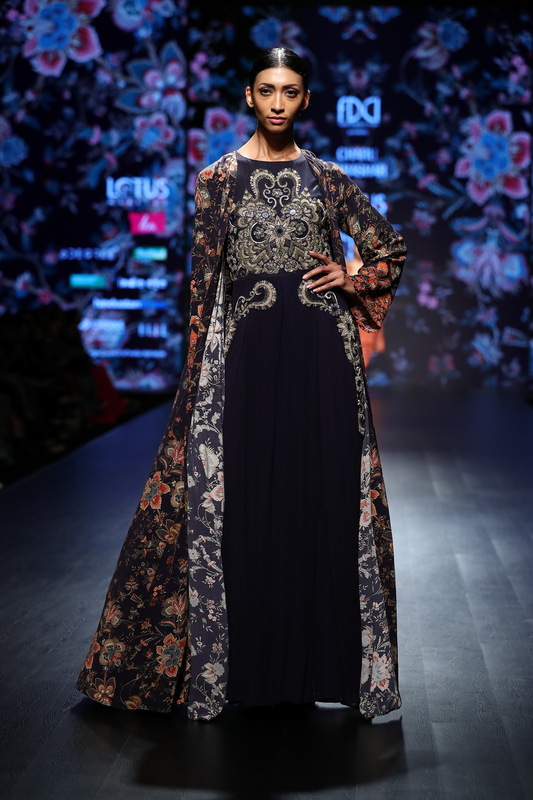 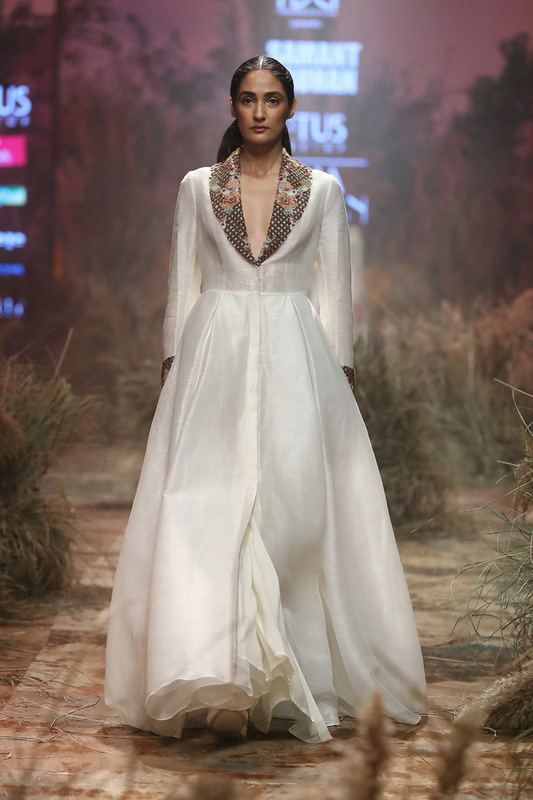 The recently concluded Lotus Makeup India Fashion Week, Autumn Winter 19 witnessed a fine fusion of old and new. 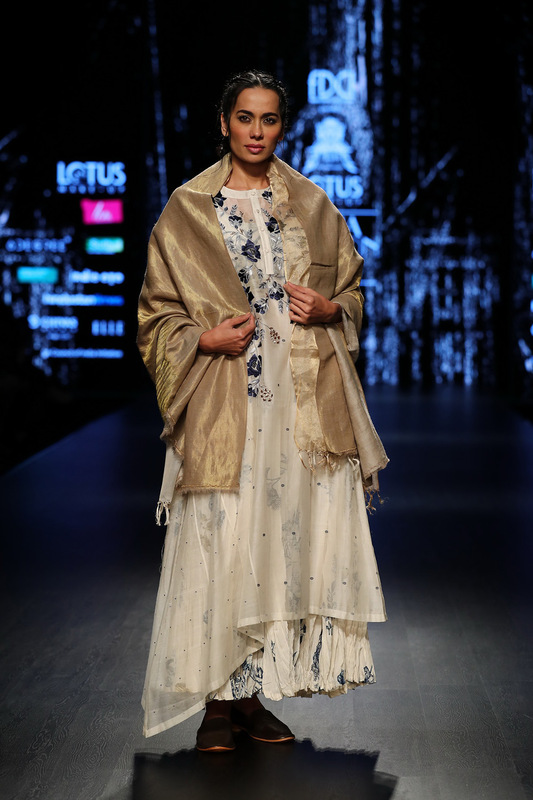 Means keeping the soul of old textiles intact- but designing with global appeal! 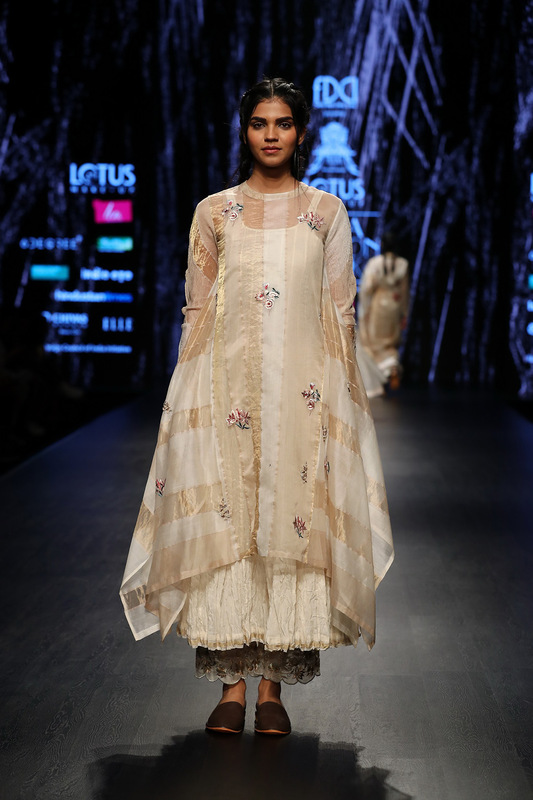 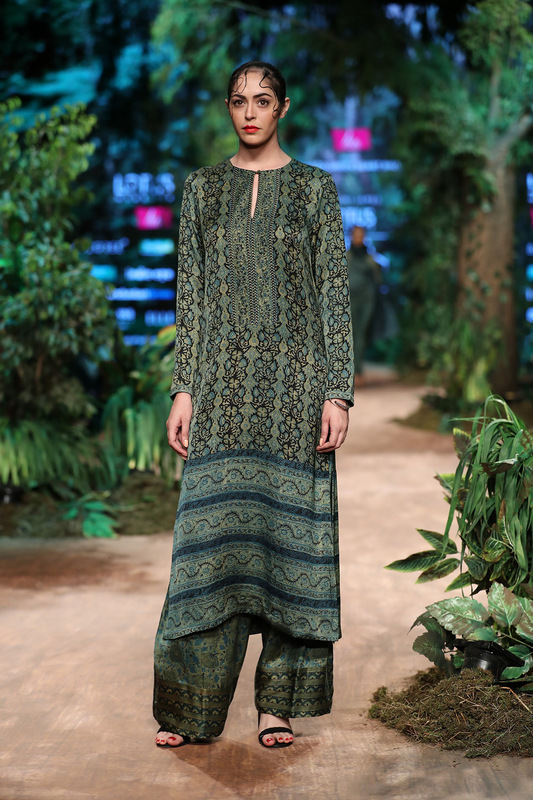 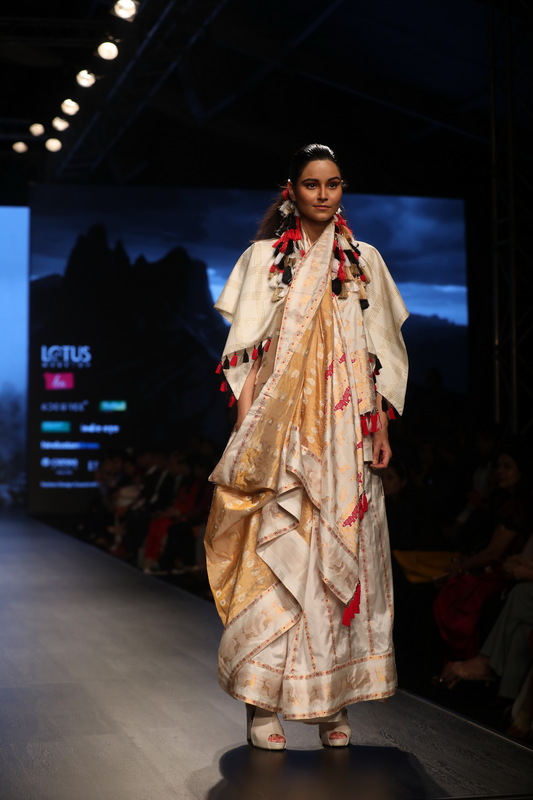 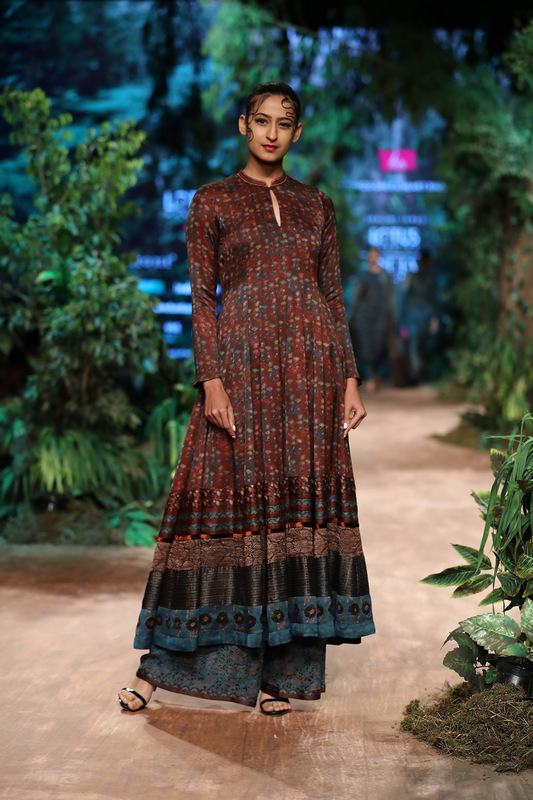 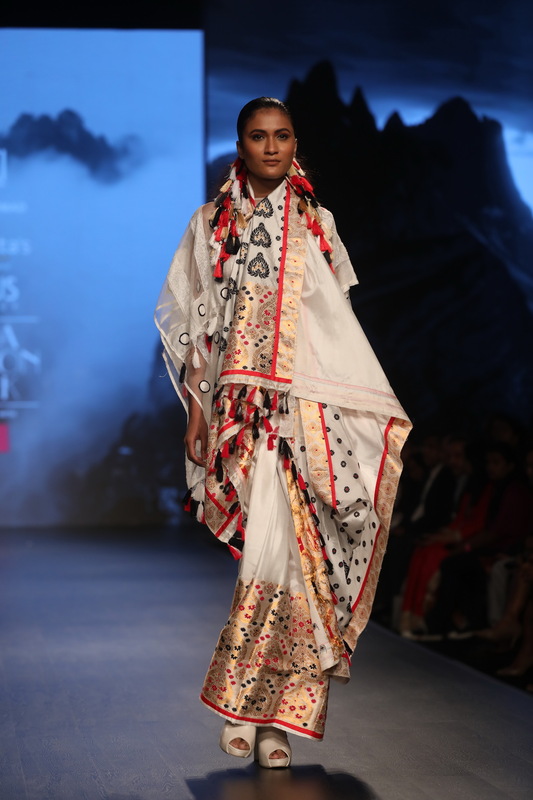 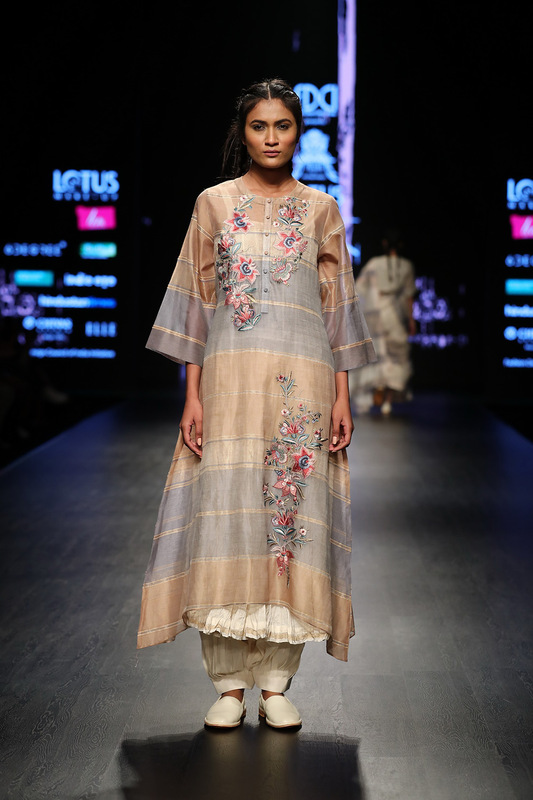 For example Pratima Pandey showcased silhouettes in Maheshwari fabric. 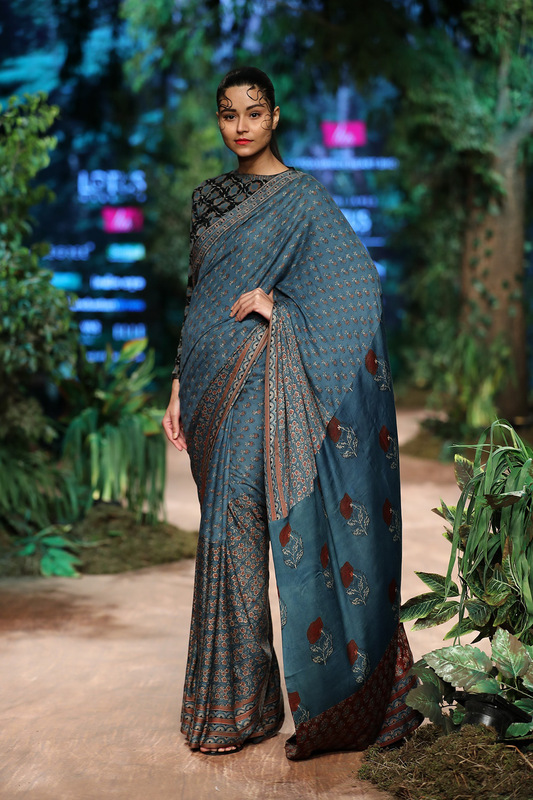 To develop this cluster, Pratima started with scratch, means from developing fine quality thread, to make it weave with finest finish in order to woo international markets. 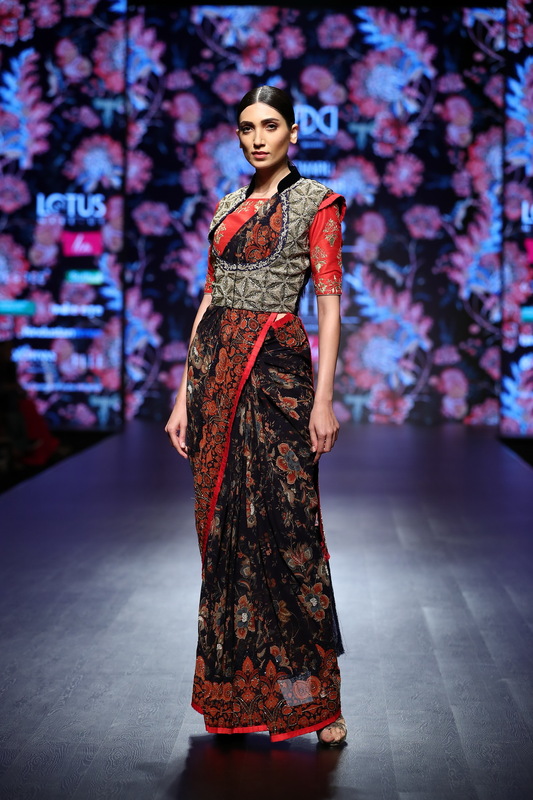 Till now I have seen only Maheshwari Sarees, suits only – but dresses, tunics, silhouettes looked equally stunning. 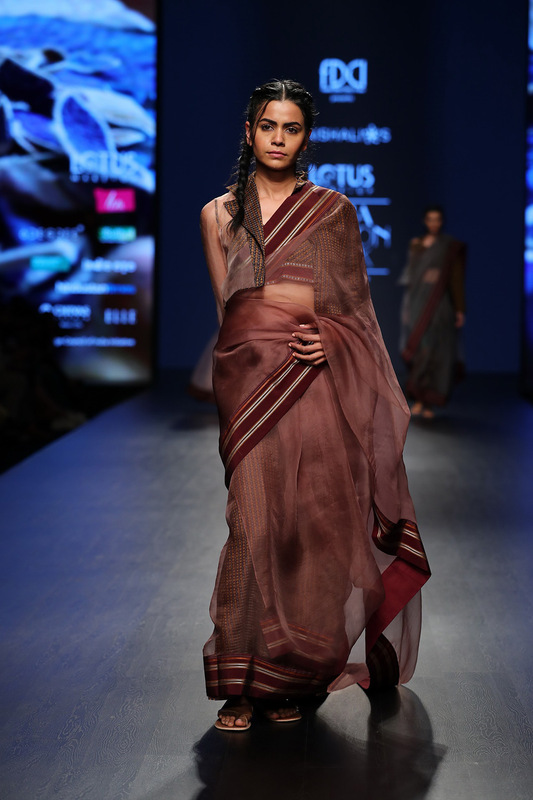 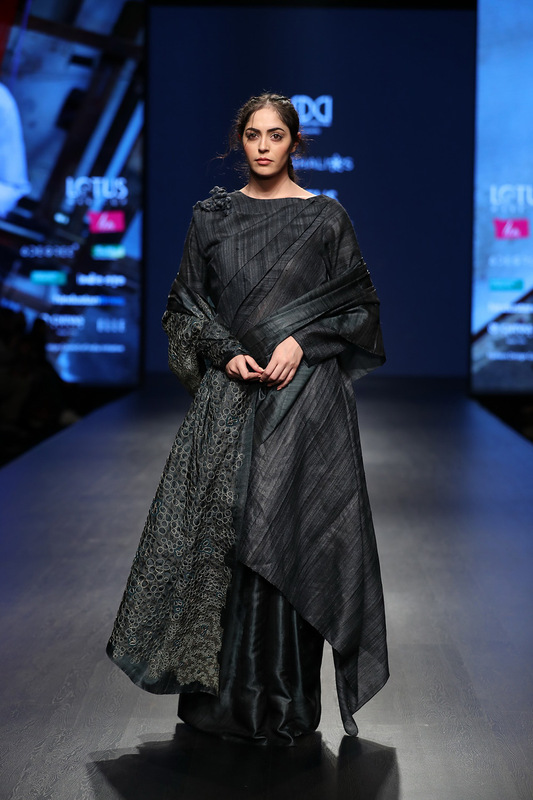 Samant Chauhan, Suket Dhir stick to their signature style while using Handloom. 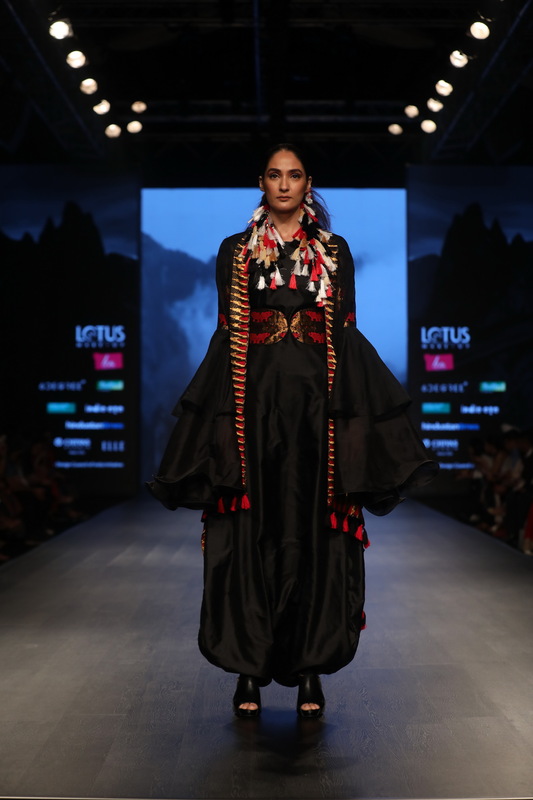 Vaishali S experimented with a nearly dying art of Guledgudda, Karnataka named Khunn. 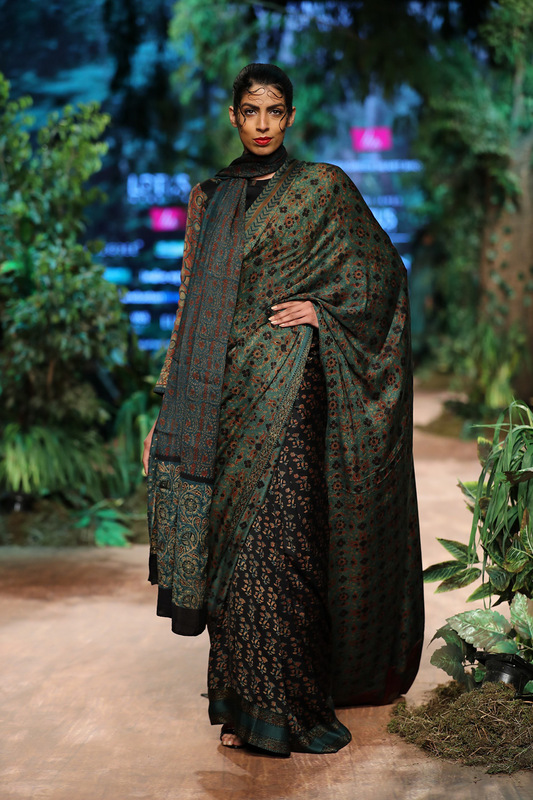 She shared that weavers are abandoning this art as it is not paying them good, rather they go and join industries to earn their living. 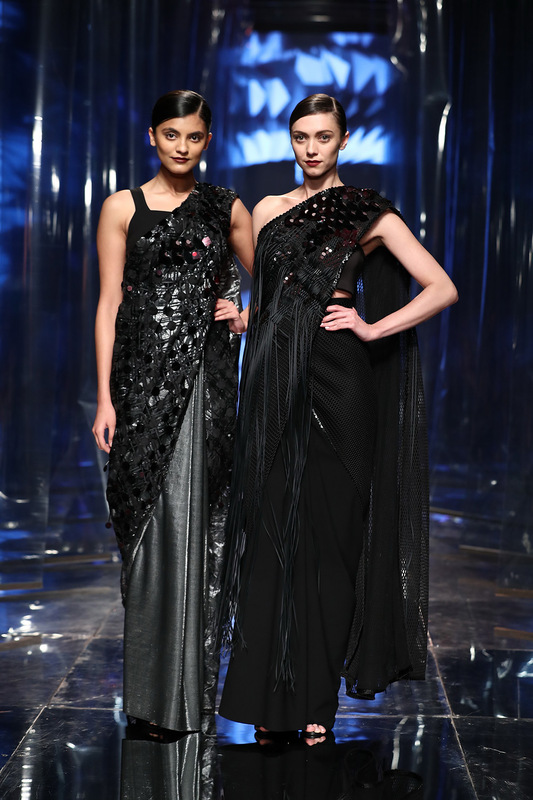 This collection called ‘Bisra’ is a ray of hope for that cluster. 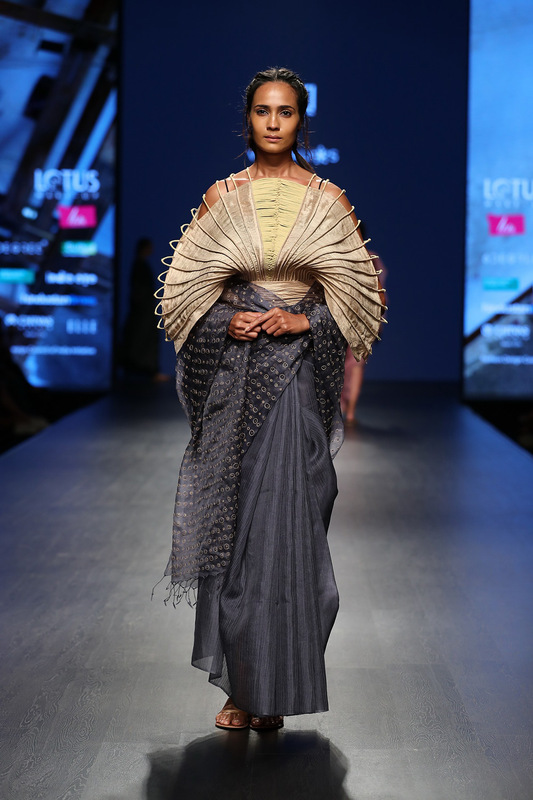 Fashion Design Council of India latest feather in cap is the Grand Finale which it dedicated to Saree. 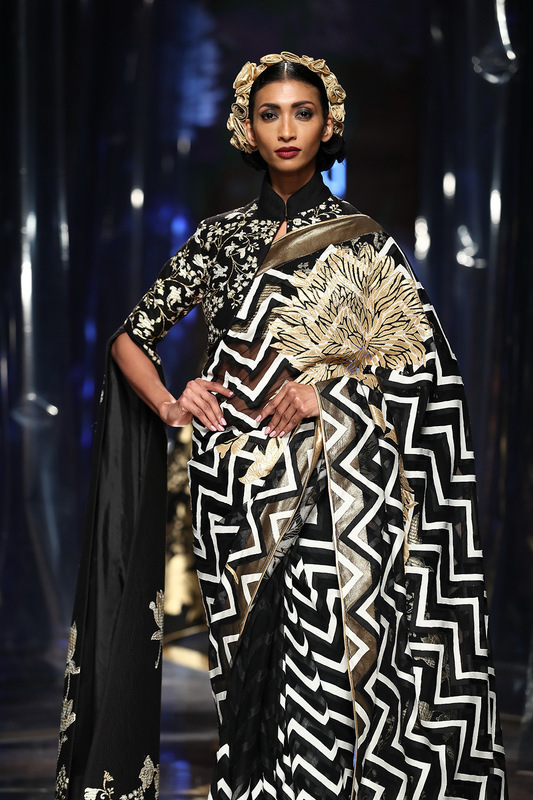 Titled as Six Yards of…… , FDCI presented 21 designers who showcased their version of sarees in their way of look! 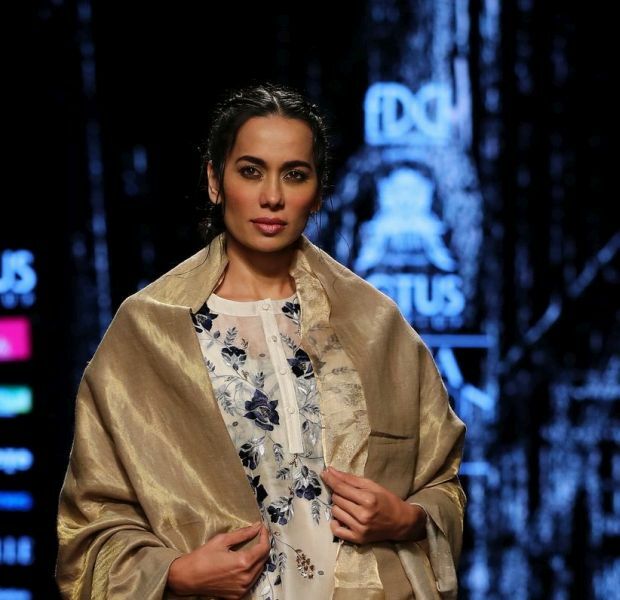 Not only that, The FDCI did a nearly week long social platform activity to associate more and more people from all walks of life to share their stories and liking of sarees. 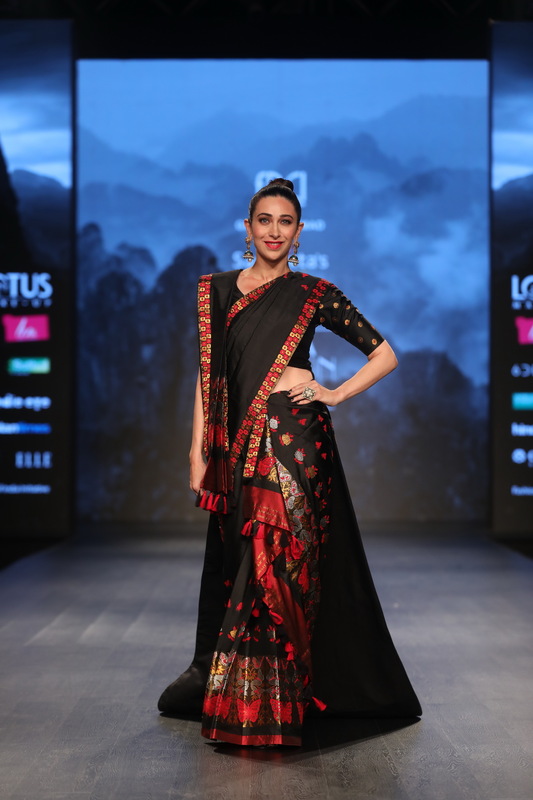 Even a women’s group Devditi, who work to promote more and more use of Sarees in day to day life, showcased a power-packed dance performance on songs from different -2 era and even the women performing were from different ages as well. 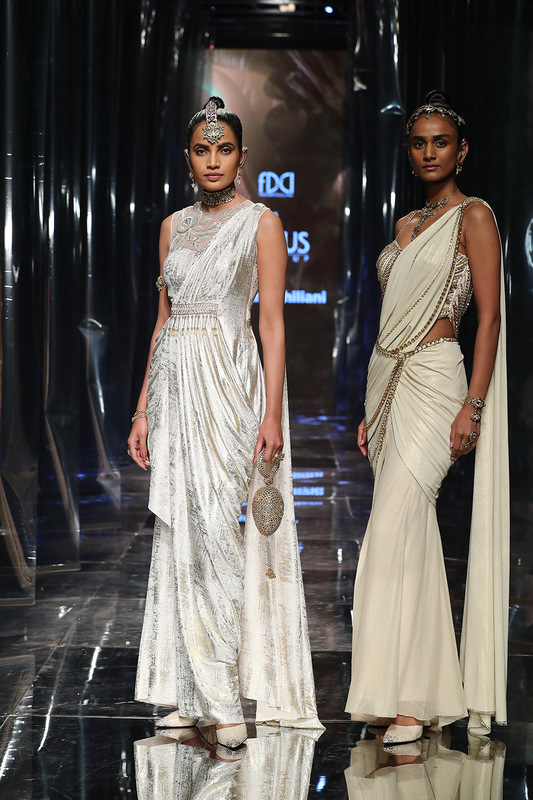 It was a visual delight for all of us. 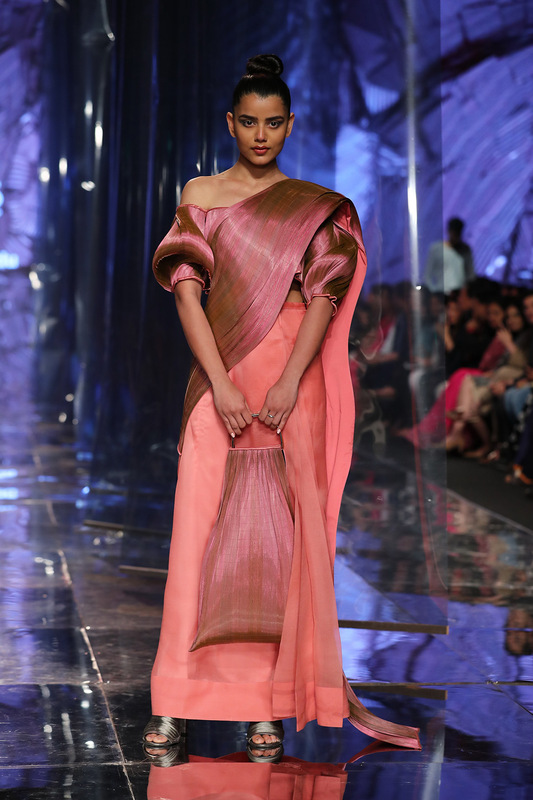 Grand Finale : Six Yards of…….